Genpact Career Jobs Opening 2018-2019 Various Accounts Executive/Accountant Post Multiple Location Download Application at www.genpact.com Genpact Career Job has Recently Announced 2018 regarding Various Job Openings Interested and Eligible Candidates can Download Application Through Official website. 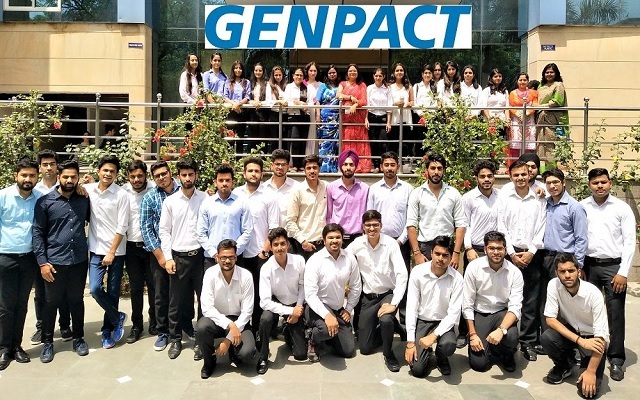 Genpact walk-in Drive 2018 Accounts Executive/Accountant - Apply Online. Salary: Rs: 1,50,000 - 3,50,000 P.A. Review and Process invoices along with providing the resolutions for the invoices and releasing the invoices for Payment. Resolve all Vendor queries and requests coming supplier portal/emails/case tracker within agreed SLA. Reviewing and Validating basic essentials of valid invoice like supplier details, PO, bank account, invoice #, invoice date etc. Maintain a tracker of the exceptions and ensure Invoices / queries are handled taking based on the exception tracker. Maintain exception log for process related exception as and when they occur for knowledge retention. Ensure good working relationship with vendors and acknowledge queries. Assist in case tracker management as well as handling and processing of emails. Evaluate all invoices for suitable filing and consent before identifying inconsistencies and errors. Posts/applies cash payments to customer accounts. Reviews exception logs, investigates, and follows-up as appropriate. Reconciles customer payments - reviews discrepancies from automatic reconciliation and makes manual adjustments as appropriate Configures customer accounts for ACH pulls/payments as appropriate. Manually processes treasury wire transfers as necessary. Research on unapplied Cash and follow up with Collections for the remittances. Liaises closely with Corporate and Site Finance/Accounts Receivable as well as operations management as appropriate. Acts as Tier 3 support related to Cash Application as appropriate. Carry your updated resume, 2 photos and Govt. ID proof. Nearest Metro Station : Botanical Garden.